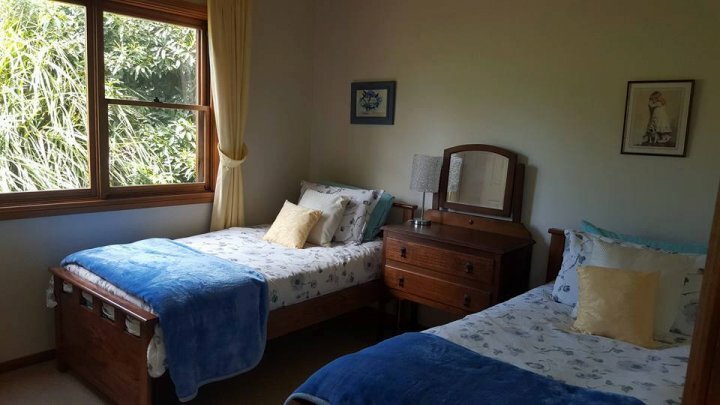 Milton Cottages Retreat formally known as Milton Country Retreat is a 25 acre property an easy 14 km drive from the South Coast town of Milton. Conveniently located 2.5 hours from Canberra and 3 hours from Sydney. Set in a beautiful green valley it looks across to magnificent views of Pigeon House Mountain, The Castle and boasts 300 degree views of the Budawang Ranges. Bordering two cattle grazing properties you can enjoy the sight of cattle grazing throughout the day & horses next door. Surrounded by extensive bush and grazing country we also enjoy the company of the local kangaroos, echidnas, wallabies, king parrots, rosellas, galahs, grass parrots, lorikeets, lyre-birds, blue bower bird and two resident wombats who wander around at night. We provide childrens sports equipment to use and also board games and books in the cottage. They will also love to pretend to drive the old tractor on the farm. You will enjoy complimentary cake upon arrival. . Quality magazines are available in the cottage for your use. The latest children dvds to watch. 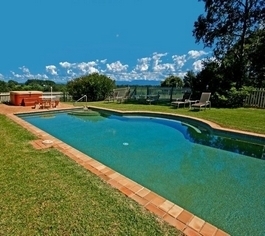 There is a large 11 metre in-ground salt water pool located approximately 300 metres away from the cottage. There is nothing nicer after a day out and about to relax with a glass of wine enjoying the sun set as you gaze out to Pigeon House. The secluded cottage is located some 300m from the main house, ensuring your privacy. Laundry facilities are available if required. 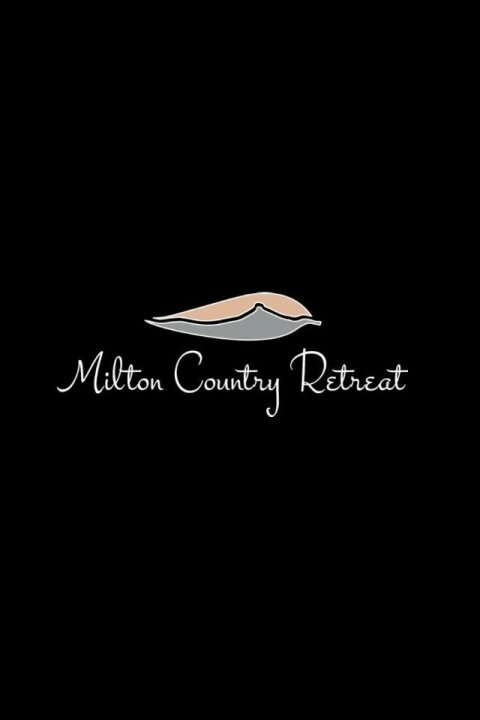 Discover Milton Country Retreat and our beautiful region. The cottage comfortably sleeps up to 6 guests. The One night rate is for a 2 guests, extra people incur a small extra charge. The cottage comfortably sleeps up to 6 guests. The rate is for a whole cottages cost (maximum 6 guests) Cot and highchair provided. Please advise at the time of booking. The cottage comfortably sleeps up to 6 guests. This rate is for a whole cottage cost, maximum 6 guests. Cot and highchair provided. Please advise at the time of booking. This is a 3 day weekend & workshop package for 6 guests who want to enjoy a fabulous weekend away together without the huge expense, we didn't remove any of the fun! 3 Day Retreat - A exclusive weekend retreat designed and curated for 6 friends or family to Indulge your 5 senses in the most lavish, indulgent and artistic weekend ever offered in Australia. Includes Gold class Workshops, Antiquity experience, Butlers, catering, High teas, cocktails by the pool and so much more. Check in after 2pm. Check out before 11am. Rates for guests are dependant on the season, please refer to our booking calendar to find out the tariff. Car parking facilities at the cottage. Turn into Croobyer Road at the only set of traffic lights in Milton. (Rainbow Pie Shop on the corner). Follow Croobyer for approx. 2 k's until you arrive at the Rural Fire Station. Do not turn right but continue on following the Pigeon House Mountain signs for approx 10k's where you will see Wheelbarrow Road to your left. Do NOT turn into Wheelbarrow Road but continue on for a further 1.4k's where you will see a private road off to your right with the Milton Country Retreat sign. Follow this road for approx. 1km and you have arrived. Milton is a small, yet charming heritage town with a friendly small town' atmosphere. The town is surrounded by rolling green hills containing many of the local dairy farms. Experience the relaxed, country town feel as you visit the many boutiques, antique shops, galleries, craft shops, as well as the many coffee shops and attractive eateries. The heritage aspect of the town is evident by the numbers of buildings from a bygone era still in use. A historical tour of Milton can be pre-booked if you so wish. There are a variety of outstanding restaurants and cafes serving delicious meals from vegetarian and gourmet take-away convenience to traditional pub fare or a la carte dining. Just a few minutes drive from Milton are the stunning surfing beaches of Narrawallee, Mollymook and Burrill Lake. Many of our guests with children enjoy the beach in the morning and relax by the pool in the afternoon. The well known Milton Markets are held on the first Saturday of each month attracting folk from near and far. As the cottage is located close by to a dairy farm, you can enjoy a pre-arranged visit during milking time in the morning or afternoon. It is also only 20 minutes from a horse riding facility, where trail rides can be booked by us for your convenience. This riding school operates on weekends and school holidays. Mogo Zoo is a comfortable 45 minutes south just past Batemans Bay. The zoo is home to the famous and rare white lions. Mogo itself is a quaint historical town with an extensive amount of craft and antique shops, restaurants and cafes.